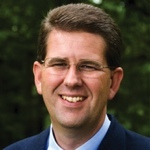 Brian Fikkert is the founder and Executive Director of the Chalmers Center for Economic Development, a research and training center that is dedicated to helping churches and missionaries to declare the kingdom of God by bringing economic development and spiritual transformation to the poor. Dr. Fikkert is also a professor of economics and community development at Covenant College in Georgia. Brian received a Ph.D. in Economics with highest honors from Yale University. Specializing in Economic Development and International Economics, Brian has been a consultant to the World Bank, the Inter-American Development Bank, and the United States Agency for International Development. He recently co-authored the book When Helping Hurts: Alleviating Poverty Without Hurting the Poor. . .and Yourself .